Lecteurs Multimédia	Il y a 1 produit. 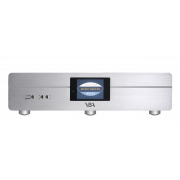 YBA HERITAGE RANGE HERITAGE from YBA has embraced current trends by including a media streamer in its product lineup. The Heritage range was a totally new product line when introduced in mid 2012 and is a truly exciting offering.